In the psyche of the Filipino individual, one does not easily draw into hype. Word may get around over how certain local talents are raising the bar, but it is only truly when they are recognized in shores beyond our own that people really start to take notice. Iloilo City’s bass music producer, DIMAS, has been constantly churning out impressive originals and remixes on his Soundcloud and Youtube channels. 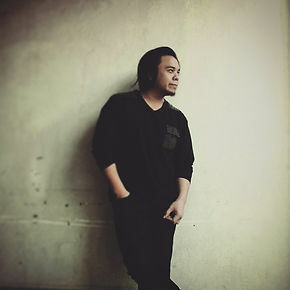 Yet, he has recently caught the attention of UK-based label Insync Records, spearheaded by Jules Bridger, which has led to Iloilo’s bass monster getting a debut release for his track, “Eternally”, featuring Kate Wild on vocals. This has garnered him support from some top names in the local industry, as well as independent producers, not just in the Philippines, but also from all over the world. We decided to engage DIMAS in a one-on-one conversation over his latest release. What led to the creation of “Eternally”? It’s just one of those tracks that resulted in a bunch of ideas thrown together in my head. I really wouldn’t know how to explain it, just experimentation and putting certain sounds together. Those ideas turned out to be worthy of the notice of people outside the Philippines, and it ended up with me getting a chance to have a release under Insync Records for the very first time. How did this release with Insync Records happen? Jules, the person in charge of the label, had already heard some of my work before. He had taken a liking to my remixes of Yellow Claw’s “Bun It Up” and Zedd’s “Stay the Night.” I then decided to take a shot and submit a couple of originals. The first one didn’t pan out so well, with his professional critique being that I could do better, based on what he heard from me previously. Hence, I went back to the old drawing board and came up with “Eternally.” The guys at Insync liked it and here we are now. How did you hear about Kate Wild? Kate Wild is a talented singer and songwriter who has already lent her vocals on my bass garage track, “Reasons.” I’ve heard of her work through various other collaborations she’s had as well as her Youtube videos wherein she does covers of popular songs. “Eternally” was originally entitled “Eternity”, an original composition of hers. I asked her permission to use it for a release with the label, slapped her acapella onto the track I made and voila, it worked to create a certain vibe that ranges from the atmospheric to the dominantly aggressive. At the moment, I’m enjoying my time as a resident DJ in STOCKROOM, as it is truly a venue where I can fully express myself musically, allowing me to play the kinds of music that I enjoy making as well as listening to. Hence, whatever happens in the months to come, so be it. All I know is that I’m living life one day at a time, and I’m taking the opportunities that have been given to me as of late as a means to establish a much louder brand in the local scene. Until then, people can come visit me, DJ Richie Riich and the rest of the Stockroom’s Bass Fam on the weekends and have a good time with music they may or may not have heard yet. Any words of advice that you’d like to share with your fellow Filipinos who may also be aspiring producers? Make that extra leap. I know that we would like to build names and brands for ourselves within our country’s shores, but by all means, don’t hesitate to dream big. If you’ve been working hard to improve the quality of your sound, create some really impressive music that others have taken a huge liking to, go ahead and submit some of your work to labels, both local and international. Who knows, maybe the next member of Mad Decent, OWSLA, Never Say Die, Buygore or SMOG Records may actually be from the Philippines… You know? And most importantly, have fun with what you do. You might feel pressured to change your style to accommodate a certain target market in exchange for a bigger reach, and that’s smart business strategy and all, but continue doing what you’ve set out to do in the first place. If there’s a style or sub-genre of electronic dance music which you excel in, ride the train and keep running full speed. You may adapt to different styles for added diversity to your repertoire, but you can never forget what made you fall in love with music production in the first place.